Its morning and for the first time in weeks I wake naturally in a room filled with sun light. It is at first disorientating. I blink my eyes and the furniture around me comes into focus. My body aches and despite the air conditioning I feel very hot. I look across at Greg who is covered in blankets. I am forced to sit up by some deep instinct. I feel like a puppet being pulled by strings. A sudden wave of nausea consumes me and I run to the bathroom. My body takes on a life of its own, the strings go slack and I fall to the floor vomiting. Tears roll down my cheeks from the sheer force. I rest my head in my hands wondering how this could be happening. My diet yesterday consisted of Coca Cola and dried biscuits, hardly a recipe for food poisoning. I panic and start to think of more serious causes. Giardia, Dysentery, Malaria?! I go over all the meals I have had in the last two weeks, but on a trip like this it’s impossible to pin point anything conclusive. Another violent shudder and once again my body tries to eject whatever is left in my stomach. The air conditioning gives no reprieve to my now increasing temperature. Having travelled the length of Africa from Cape Town without incident, I now fall ill in Khartoum just short of the finish line in Cairo. I take some solace in the knowledge that we are not required to travel today. Perhaps I should think myself fortunate? I waste no time and start a course of antibiotics and paracetamol. Greg heads out into the sweltering heat to secure bus tickets to Wadi Halfa for the day after tomorrow and the all-important ferry tickets onto Aswan in Egypt. The first class cabins are limited and highly prized. By mid-afternoon I manage to consume a small tub of cold yoghurt. Greg returns triumphant with both bus and ferry tickets. The clock is ticking, I have another 36 hours to recover before we push on to Cairo. I feel optimistic and pray the antibiotics that we have carried around for so long will work their magic. The next morning I wake still feeling fragile but my condition is much improved. I feel relieved that if I had to become ill, it has at least happened during this short break in our progress. We have one more task to perform and arrange to have ourselves registered which must be done within three days of entering Sudan. It’s an annoying bureaucratic task made difficult by the infernal heat. 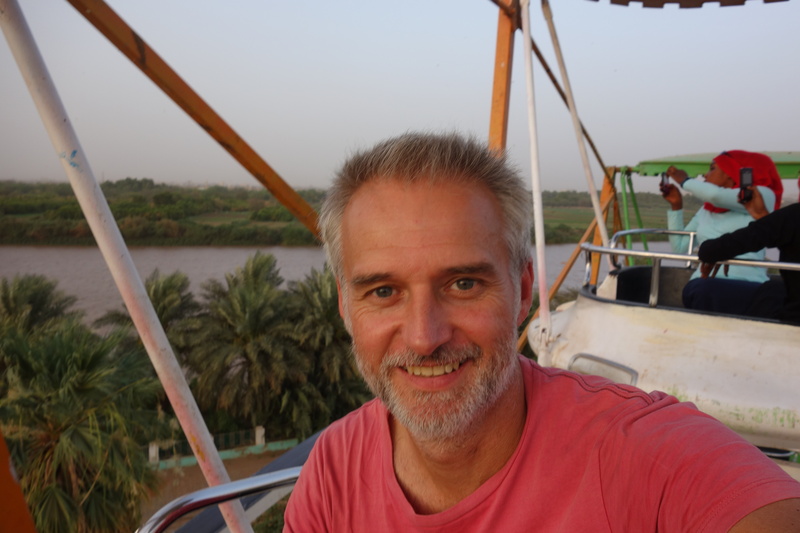 Greg assures me that while the people of Khartoum are charming the city itself is somewhat devoid. He takes a long walk along the Blue Nile that started in Ethiopia to a point where it meets its longer brother the White Nile that started back in Uganda. This geographical convergence is a little lost on me but Greg seems to think it is important. So much so that he enters an ageing and rusting theme park and takes a ride on the Ferris wheel, all so he can see the point at which the two rivers become one. My condition improves over the next 24 hours and we have one last early morning bus to face before reaching Cairo. It rolls out of the Khartoum depot at 5.30am with a minimum of fuss. It’s so civilised and calm that I actually miss the minefield of touts we have become accustomed to over the last 4 months. Fellow passengers greet me with a nod and utter assalam alaikum (peace be upon you). I like the Sudanese, they are warm friendly and highly hospitable. The desert stretches yellow and lifeless as far as I can see. I watch the long shadow of our bus rise and fall over the small dunes. The coach is the best mode of transport we have been on since leaving Namibia and the same must be said of its air conditioning. Within an hour I am freezing. Déjà vu creeps back. I stare at the desert hoping it will act as some sort of visual warming device. 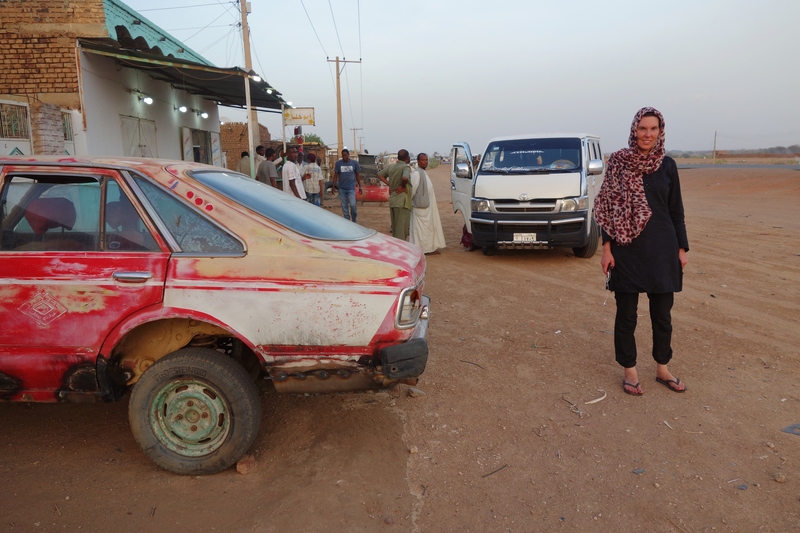 When boarding a bus in The Sudan, a fleece is the last thing on your mind. A warning siren goes off from the driver’s console. The bus slows and we are forced over by the side of the road. Hot dry air pours into the bus. It would seem the fan belt on the radiator has torn and the engine has overheated. We are stuck here for the next hour making repairs. Greg tries to get the assistant to open the luggage door so he can extract our fleeces, but the young man with only one huge eyebrow tuts and wags his finger at the sky. The operation might only take 2 minutes but out here, with nothing to do for an hour in the desert… it’s not possible. He turns his attention instead to loading more songs from his mobile phone onto a USB stick. He plays another one of his favourites and smiles at his captive audience. It is the smile of an idiot. We get someone to translate our request but the grinning eyebrow is having none of it. More tuts, more finger waving, followed by a liberal spraying of the bus with jasmine air freshener. It’s actually so ridiculous that all you can do is laugh and bank it in the vault of precious travel absurdities. We are moving and freezing again but only for a short time and its back into the pits. This time Greg approaches the driver who gladly opens the luggage compartment. Two fleeces are produced in less time than an F1 tyre change. The assistant seems annoyed and in some attempt to look useful sprays the bus with more freshener. All I can think about is getting to Wadi Halfa but our bus seems reluctant. I prepare myself for worst which fortunately we are spared from. The bus roars back to life after 15 minutes; it will be our second and final breakdown. 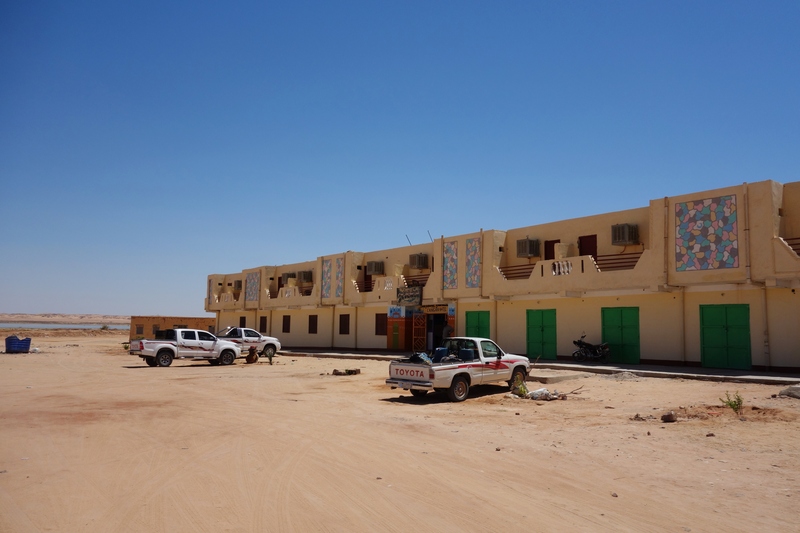 Wadi Halfa is a remote frontier town bustling with activity. There would be no reason to come here if it were not for the International ferry crossing to Egypt. Men women and children wonder the dusty dry streets talking and playing. There is an energy in town for tomorrow is the day of the ferry. Everyone is heading to Egypt. Locals and tourists come together, there is a sense of purpose and zest. I watch a woman buy fruit for the journey whilst skinny stray cat’s look on, eagerly awaiting a morsel to fall their way. The harsh sun begins to soften and we head back to our hotel. On our way we bump into Ibrahim whom we had met earlier on the bus. He is struggling to find a bed as the demand is so high in the town. Some people are resorting to sleeping outside on string beds, a common practice when the ferry is in. Ibrahim returns with us to the Cangan hotel which is now heaving with people. Our room or rather cell is clean with just a trace of sand. The air conditioner bellows loudly in protest. It has several settings most of which adjust the volume of protest; none of which alter the temperature. I’m almost tempted to sleep outside but I know the stuffy room will shelter us from the scorching heat of the day. The shower allows a trickle of warm Nile water to flow. I drench my sheet and lie in front of the mechanical air complainer. This process continues throughout the night and is the only way I can ensure some comfort and sleep. Its mid-afternoon on Tuesday and by now I am cooking in the heat. The hotel has been very kind and given us late checkout all for 80 SDP. We head through the busy terminal standing in an assortment of queues, receiving stamps on small pieces of paper. We have a ticket cover with no tickets but somehow board the vessel. There had been two class options for this ferry journey. Sleep on deck for 40 USD, or for an extra 10 USD, purchase a cabin with beds and air conditioning. The deck option might be romantic and adventurous if the ferry were not so full, but this one is bursting at the seams. The first class floor is a description that does not reflect reality but as promised the cabin has beds and the air conditioning is a welcome relief. It is private and offers refuge from the crowds outside. In spite of my observations it’s very exciting. The crossing of Lake Nasser to Egypt is historical and a rite of passage for any Trans African Explorer. On deck we meet 6 other travellers who have taken the option to sleep outside. I admire their brevity but I am secretly glad I have a cabin to retreat to. Adolfo is from the Basque region in Spain which he is careful to point out. He is bearded and looks like a prophet who has spent 40 days in the desert. In reality he has travelled from Morocco down to Cape Town and back up to Sudan. His journey down the west coast is far more difficult than the eastern route we have taken and we are both very intrigued. We interrogate him over a meal of Chicken, rice, and tahini washed down with cold water and hot black tea. He is naturally talkative and charming and a good story teller. 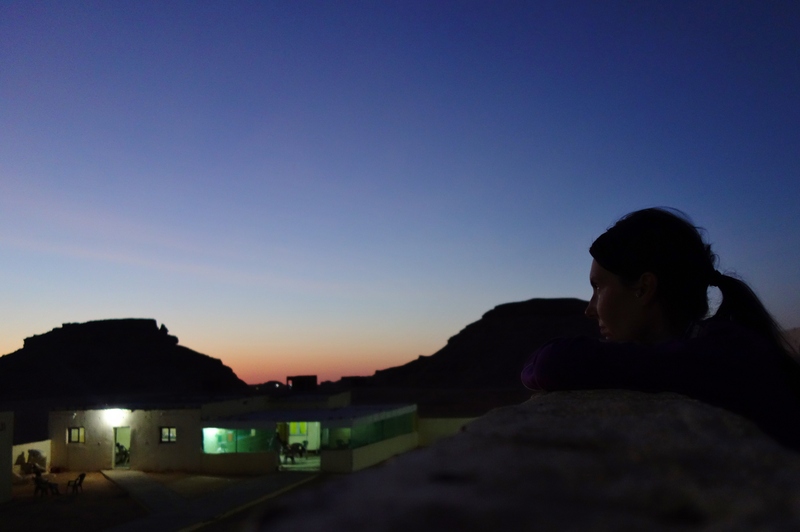 Back up on deck the sun has set but there is still enough light to see one of histories great monuments, Abu Simbel. We sail past the four colossal statues of Ramses II. I can think of no better way to enter Egypt. At the rear of the boat evening prayers are taken. I explore the bowels of the boat. Hard benches stretch along the length of the deck. Families are preparing food, children are playing. It’s hot and noisy. I clamber over people with cries of “oh so sorry …Thank you… Pardon me… Oh hello again, how are you” so typically foreign. The locals are fascinated by this touristic intrusion, wondering what on earth I am doing down here. To me it’s interesting to see. It’s all part of the journey and I admire their ability to make what is a pretty uncomfortable place very functional. In fact it is one of the things that I have found time and time again on this journey through Africa so commendable. The ability to adapt with such grace and patience. There is a sense of community spirit which I think we have lost. Morning breaks but I do not see it. We are in no rush. Not even the lure of a Nile sunrise can pull us from our bunks. Like the boat I am taking a more unperturbed pace and eventually pop onto the top deck to say good morning to the other Westerners. I discover the group looking a little worse for wear. Adolfo informs me that it was so cold last night he was forced to sleep next to the ear piercing engine just to keep warm. I offer them all the option of popping to our cabin for a little respite. The boat docks and we have still not been given an Egyptian visa. Assurances are not very reassuring but we are in the same boat as the others at least. One of the crew emerges through the crowd with our passports. We follow him ashore and up a long ramp to what can only be described as a holding pen. 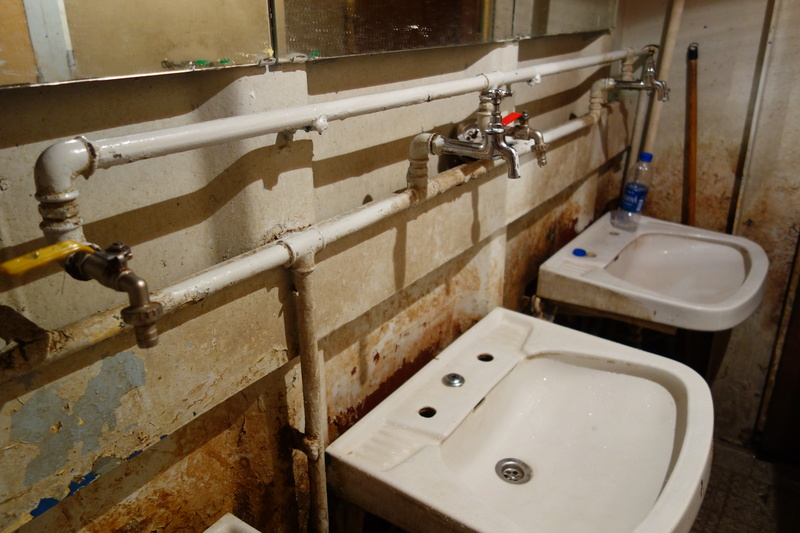 At the far end is a narrow exit guarded carefully and discriminately by customs officers. They seem to pick people out randomly who in turn must push past others in order to escape. It is a system carefully constructed to cause confusion and calamity in the crowd. I wait at the edge of the mob in no mood to be crushed. The ship steward with our passports has others ideas and beckons us. The lure of your passports disappearing through a crowd is a strong incentive to follow. The discriminator at the exit allows us through. We have somehow acquired a taxi driver. The ship steward is gone. We have lost him but our new friend the taxi driver offers more assurances. Bags are searched and clothes are tossed on the floor. The purpose of a head torch is explained and we pass through security and into the entrance hall. Still no steward and no passports. The taxi driver leaves us but promises he will return. We are left alone with Adolfo feeling a little uneasy. He returns 5 minutes later clasping the small blue books. If our journey is a river then our arrival into Egypt has been a class 5 set of rapids. The taxi driver come passport and visa organiser stings us each for 30 EP for the ride into Aswan but he also got us our passports back with a visa for 30 days. Driven on by the need to know our visa fate in Cairo we book tickets for the 7pm sleeper train departing that night. There is time for a traditional Egyptian meal at McDonalds and an afternoon sleep in one of the hotels. 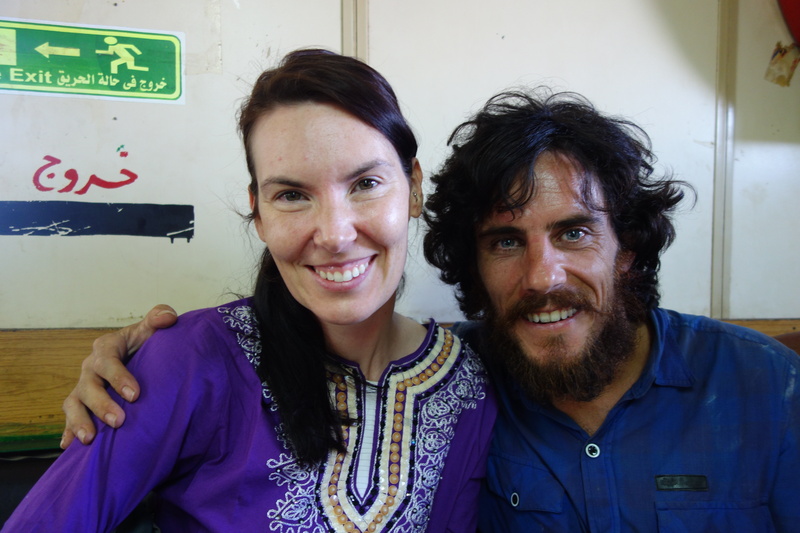 We bid farewell to Adolfo and continue north to Cairo. 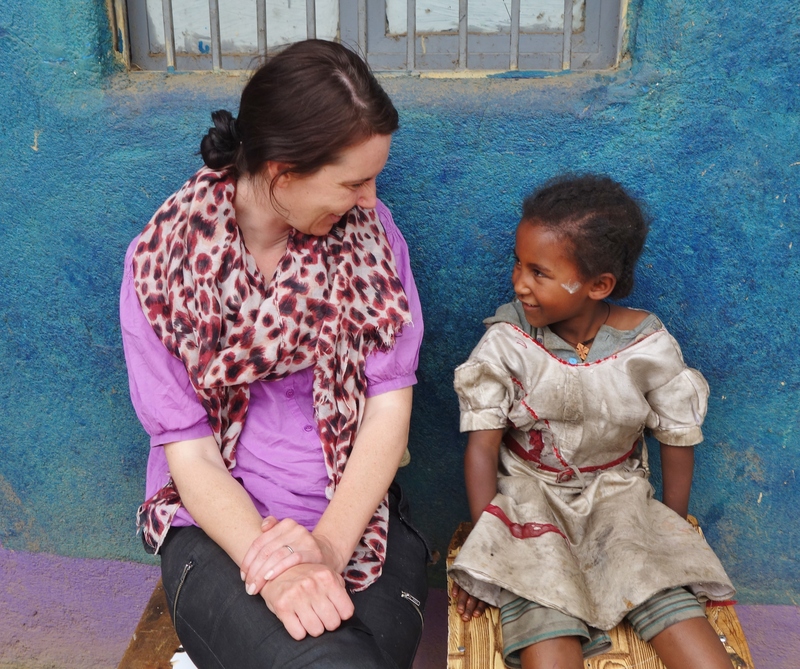 We have lingered in Ethiopia as long as we can. It’s a heartbreaking decision to leave but we are already weeks behind our original schedule. 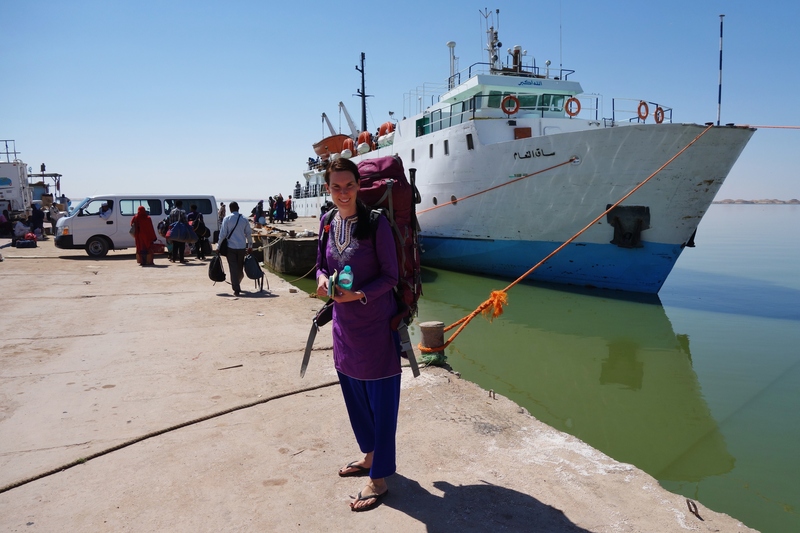 If we are to reach Pakistan by early to mid-August we must be on the ferry from Wadi Halfa, Sudan to Aswan, Egypt on the 18th of June. If we miss it, we shall be stuck in northern Sudan for another whole week; time we can’t afford to lose. Occupying our thoughts is the success of obtaining a Chinese visa in Cairo. If we are rejected again, we will be forced to send our passports back to Australia and wait for their return. Early morning gloom reveals that there are no mini busses going to Woldia. We are directed instead to a level 2 bus that is currently being filled with passengers and bags of grain. I examine its lethargic bulk with disappointment. The bus will arrive into Woldia too late to make onward connections to Bahir Dar. I feel frustrated and helpless but start to canvas the depot in order to reach some consensus. Head shakes and puzzlement are broken by a man who can speak English. 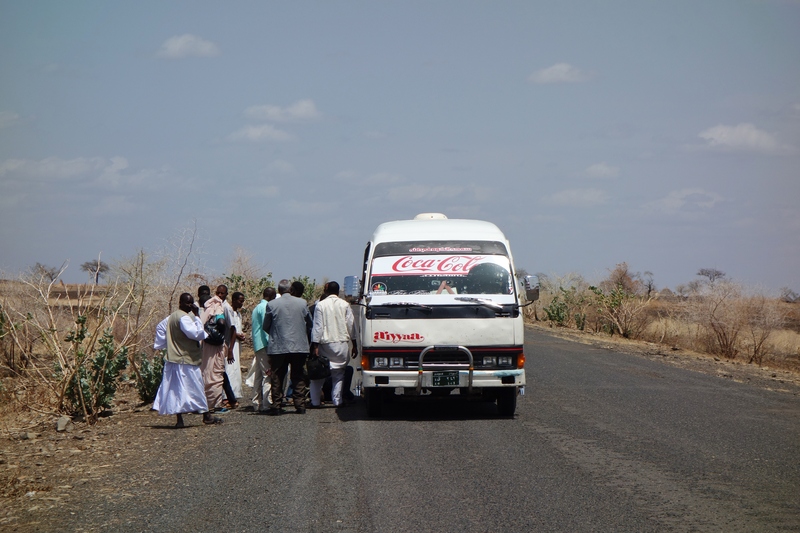 As it turns out there is a mini bus heading south to Alamata where we can make onward connections to Woldia. I try to reserve two seats; which is never as easy as it sounds. By the time I make my way back with our bags the seats are occupied. Luckily no money has changed hands. I refuse the back seats and go looking for another bus. The conductor unleashes verbal abuse at the current occupants and they are forced into the back recesses of the bus. Sometimes I feel guilty but not this morning. The road ahead coils like a snake and I don’t fancy being sick in the back of our van. It is a beautiful day. The rains have commenced since our time in the Danakil and the air is now clear. The bleached hills are turning more vibrant shades of green. Our driver is pushing the van to its limits on the tight corners. We pass a truck that has overturned and rolled down the mountain, but this serves as no warning to our man behind the wheel. He uses every inch of the road available and sometimes a little bit more. I feel strangely calm this morning and more pleased by our rate of progress. He accelerates beyond 120km on a steep downhill straight but my pulse remains steady, my palms remain dry. I am in a state of African transport Zen. Behind us the regurgitation of morning injera has started. Plastic bags are passed to the unfortunates in the back row. One lady who works for Mum’s for Mothers is particularly ill. Emma despatches some Travel Calm tablets, which she thankfully consumes. The scenery along with our fellow passenger’s stomachs continues to improve. The bus relay is working well. We are passed to the third and final van around midday. The last leg is the longest and will take just over 6 hours. Bahir Dar is now only a few hours away. The land around us is foreign and beautiful. Giant stone fingers erupt from the green mountains. We are speeding along a ridge with splendid views on both sides. In the distance is Lake Tana, the source of the Blue Nile. The sun shimmers golden on its surface. Indeed it’s a golden afternoon of transcontinental travel. 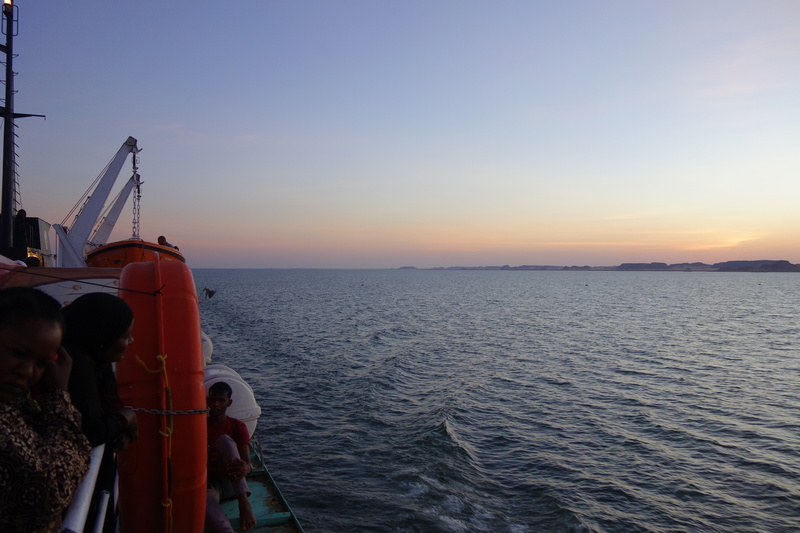 We reach Bahir Dar just before dark. We are let off at a busy corner in the middle of town. The Mum for Mothers gives Emma a huge hug. The journey has taken just over 13 hours. We are both too tired to resist the touts on the street and allow them to walk with us. Laziness overcomes thrift and we arrange to be collected at the hotel in the morning. The price for an extra hours sleep is 30 birr or around $2USD, I must be getting soft. It’s the second day of our big push to Cairo. 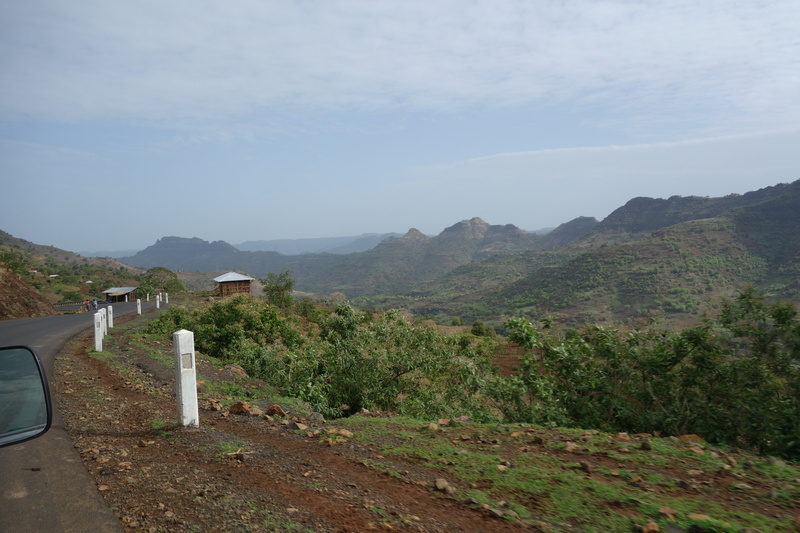 Its distance is still too far to conceive so I concentrate instead on Gonder which only 4 hours up the road. Beside me is a woman who is not able to sit straight. She curls her legs to one side which twists her body and forces her weight against me. I hate her. We duck and dodge the usual goats, cattle and donkeys that litter the road. Ahead I see two yellow dogs. We pass one dog who is walking by the side of the road, his companion is seated on the other side with his back to the van. The driver quietly drifts over to the right side of the road. He is careful not to use the accelerator, we are doing no more than 30km. At first I am completely clueless as to his intention but before I realise he deliberately runs the dog over. It becomes wedged under the van. I can feel it scraping along the road like a cardboard box. It momentarily dislodges only to become stuck again. I can hear it screaming and yelping. I can feel bones braking. The young butcher is amused by his brutality and starts to laugh as he turns the wheel left and right. It’s all too much. The early mornings, the lack of sleep, being ripped off and now this, I simply react. I punch the back of his seat as hard as I can and scream foul four letter obscenities at him. I know he won’t understand English but I’m betting he knows most of the words I am using now. He speeds up and the now silent dog is finally dislodged for good. It’s a horrific experience. The bus erupts into laughter and excited conversation. Our 12 fellow passengers ranging from young girls to old men are all entranced. The conductor is speaking and clearly making fun of us as the other passengers respond with chuckling. To them a dog has no monetary value so killing it means nothing. The lady who leans is laughing the loudest. It’s a horrible situation. I find myself hating them all. I find myself hating Ethiopia. I have listened to others traveller’s stories with scepticism but right now I hate them all and I just want to leave. It’s an emotional and immature reaction for which I am somewhat ashamed but it feels comforting. Emma and I start to plan the demise of the butcher and his assistant who sells tickets to the mobile horror show. The woman who leans is still cackling and using the word Farangis in most of her sentences. I fantasise about opening the side door and pushing her out of the speeding van but my thoughts keep coming back to the driver who I am now staring at in the rear view mirror. Emma is engaged in own visual battle with the conductor. Gonder can’t come soon enough but it fortunately comes after we have calmed down. I push my hatred aside and think about the good people we have met. To take any further action would be stupid and futile. I am confused as I don’t want to feel this way. I want to love where we go and rejoice in the countries we visit but this afternoon that is simply not possible. Tomorrow we cross the border into Sudan, and for that I am grateful. Its 5am again and we are standing out the front of the hotel waiting for the manager’s brother to collect us. The border is about 3 to 4 hours away. Again we are lazy and have opted for a pick up. I know we have paid more but as long as we get there I really don’t care. We get a call and the brother can’t make it, I sense a scam. A young man who has an American accent finally turns up with a mini bus filled with people. We have just paid 300 birr for a regular mini bus. I curse myself for being lazy but it’s my own fault. I take solace in knowing that in about 4 hours I will be warm and safe in the Islamic hospitality and honesty of Sudan. 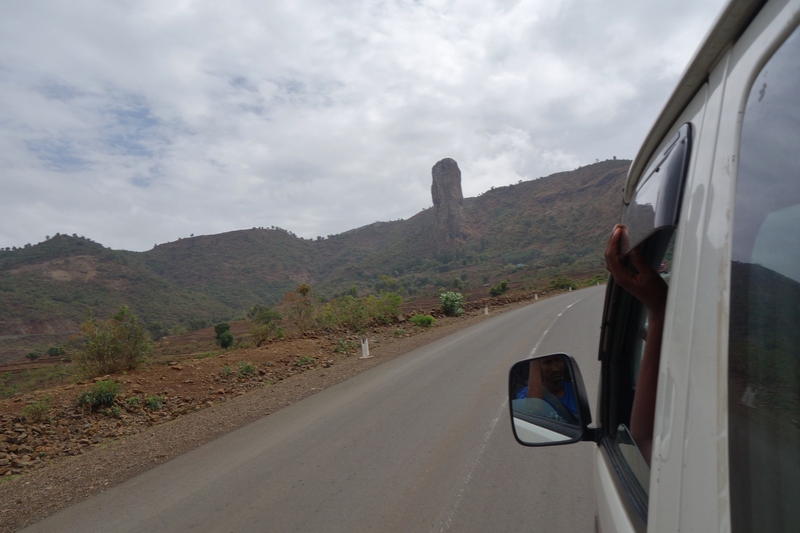 Our bus is about an hour out of Gonder when mechanical failure reduces us to a crawl. We are crippled by the side of the road. Our driver flags down other mini busses but he will only pay as little as he can and the other drivers speed off. I ask for my money back so I can do my own negotiating but am ignored. The other passengers are also becoming agitated. The driver refuses to hand over the money we have given insisting the hotel only paid him 80 of the 300 birr we gave to Sammy. More rage, I have spent the last of our birr and have nothing left to negotiate with. Eventually we are given seats in another van but I am left ironically sitting on a stool having paid nearly four times the price of the other passengers in seats. The stool actually turns out to offer some degree of comfort and soon I am admiring the green Ethiopian mountain around me. I wonder how in only a couple of hours we shall pass from this visual paradise to dry desolate dessert. There is time for one more transport argument and Ethiopia does not disappoint. 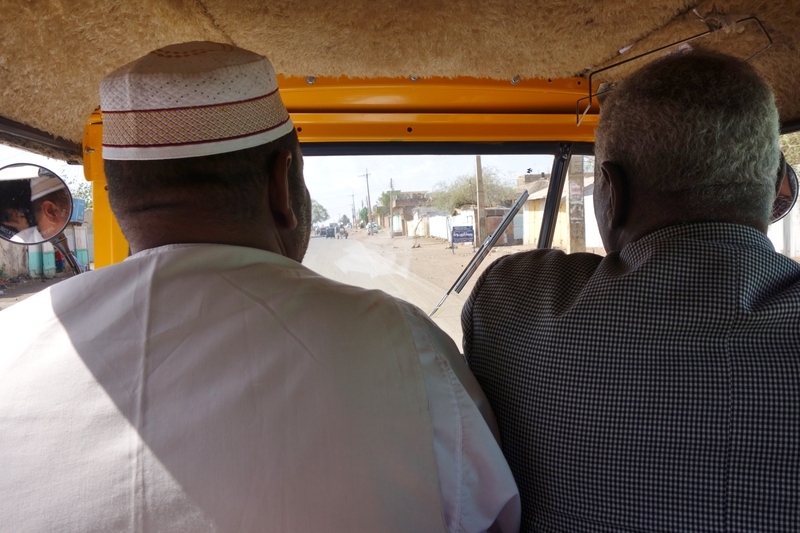 Our tuk tuk driver who has taken us the final kilometre to the border wants 30 birr. He is handed 5 instead, which is about double what he should receive but still manages to fake deep disgust. I watch his performance with amusement and some gratification. Other bystanders join the protest but their collective efforts are fruitless. 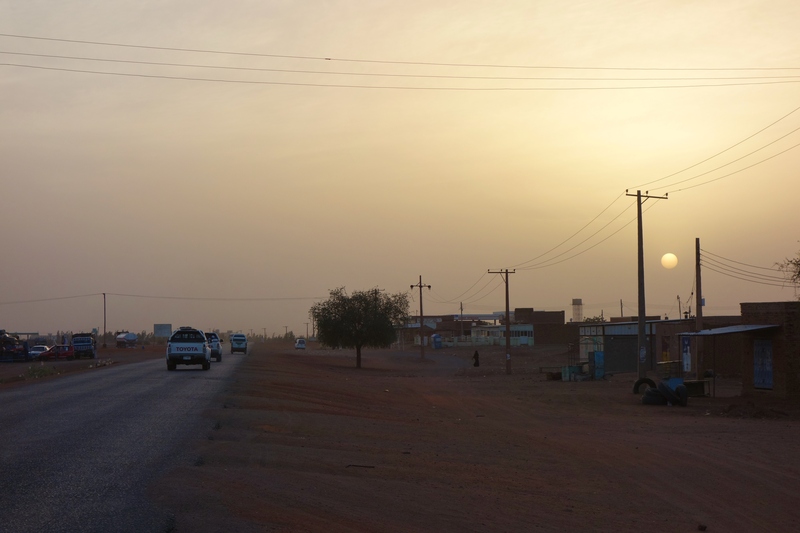 Ahead is Sudan stripped bare and devoid of any vegetation. Behind us is Ethiopia green and mountainous. The contrast between the two countries is not limited to geography. The Customs official in Sudan sports a neat haircut, crisp white uniform and a welcoming smile. By the time we have cleared both sides of immigration it has just gone midday which in Sudan is 12 like the rest of the world. Ethiopia had been the country we were most looking forward to seeing in Africa and now that I have left I feel a little empty. It is not a challenging country but it has been the most challenging so far on our journey. The early morning starts, long distances and limited time have not helped. It has also been one of the most beautiful and by far the most cultural country in Africa we have visited. 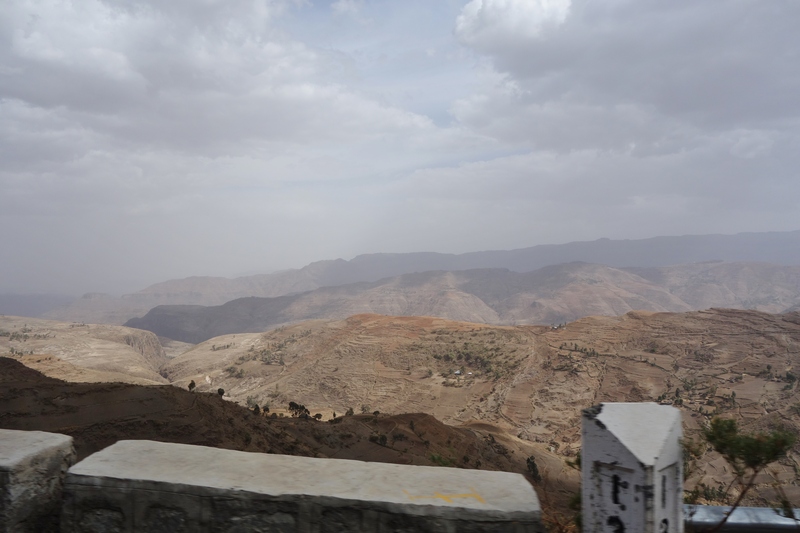 I feel like I have been on a bad date but Ethiopia is so beautiful you want to see her again. The sun beats down on us, ahead is an old bus that sits empty. Our next destination is Gedaref. The contradictions between the two countries comes to an end; the bus will depart when full. It’s difficult to decide whether the shade in the stuffy motionless bus offers a better climatic relief than the hot wind and direct sun outside. I manage to find icy cold coca cola for 2 Sudanese pounds each. The value in US Dollars is still a little unclear. The official rate is 4.4 but there are money changers on the street offering 5. A Japanese couple coming the other way impart their wisdom. The black market rate is at least 6.5 and possibly 6.85 is you haggle well. I change a small amount for 6.5 and look forward to better rates when we are less vulnerable. The Bus stirs to life after 30 minutes. We are headed north again. Every mile that passes is a step in the right direction. Not long after departure our bad luck continues. A large section of tread has been ripped loose on the baking hot road. The driver pulls over and uses a bar to wedge it free and bends the rear mud flap back up. We continue on with bare rubber on the back right wheel. Our speed has been cut down to 40km. Another large bang, more rubber is ripped away. The driver continues, our fellow passengers seem unperturbed. One large man with silver hair and a grey hounds tooth jacket chuckles. This is Sudan. He is returning from Ethiopia and also on his way to Khartoum. I wonder how he manages to look so cool in a hot suit. Our reduced speed is a double blow as the air is no longer moving fast enough to provide any comfort. I am wishing that I had purchased a few more cokes. We stop at a small settlement for no apparent reason, the tyre is certainly not being fixed. I run to a small shop and find some apple juice and water. The quenching of thirst is truly a beautiful feeling. We arrive into Gedaref in late afternoon. The man in the hounds tooth jacket takes us with him in a tuk tuk to the Bus station on the other side of town. We try to pay the fare but he refuses. The big modern air conditioned busses we have been counting on all day have already left for Khartoum, it’s a crushing blow. Hot thirsty and exhausted we go looking in the mini bus compound with hounds tooth. A fare of 70 SDP is negotiated. It’s just gone 5pm and Khartoum is still another 6 hours away. Darkness falls on the open desert. The green hills we passed through this morning feel like weeks ago. Grateful to have left I am now missing the cooling altitude of Ethiopia already. The passengers must also be tired and weary as we don’t pull over for evening prayers. Destination replaces devotion. The lights of Khartoum shine on the horizon like some tired travellers dream. It’s now nearly 11pm and we still need to locate a hotel in this huge foreign city. Hounds tooth must have mental telepathy as he enquires to where we are going. The only hotel of reputation below $25.00 USD is the YHA hotel in Khartoum 2, wherever that is? Hounds tooth and two other men stop the bus and help us out with our bags. They hail a taxi and explain to him the area to which we should go and what the price should be. They have been very kind to us. We shake hands and say good bye, I will never see him again. Khartoum is a massive sprawl of dim yellow lights. It is gridded like a hot, low rise version of Manhattan. Our driver comes to a corner and has gone as far as he can. He asks men standing on the street the whereabouts of the YHA hotel or Yaha as it calls it. No one has any idea. We are close but yet so far. We drive around in circles or more accurately squares. Emma goes into another hotel but they too are none the wiser. Their rooms are large, air conditioned and tempting at $70 USD. We stop in at Pizza corner. Cool air and a menu board filled with ice cold drinks smacks us in the face. I become momentarily distracted but return to the task at hand. A waiter sends us down the road and to the left. We vow to return to this oasis. Driving around in the dark but no YHA. We do find the embassy of the Netherlands. A security guard abandons is post and helps in the search. Behind a shrub in 10 point print is a small obscure sign for the YHA. I enter feeling relieved, it is now close to midnight. The office is unattended so I go in search of help. I come across local guests wondering the compound like ghosts but all are unable to help. I return to the taxi. Emma looks at me with hope. There is no one here. It’s too much for her. She emits a small scream and physically stamps her feet on the ground. After another 10 minutes an indifferent receptionist emerges from the shadows. The hotel is full. It’s a knockout blow. We have been up and travelling since 5am. We surrender to the $70 USD a night hotel next door. We have no fight left. The AC is turned up high. The hot water tap is never considered. Cold water runs down my face and over my shoulders. We have covered over 2000 km across northern Africa is three days. Surely now our hardest days are behind us. I lie in bed and take comfort knowing that for the first time in weeks I don’t have to wake before the sun rises.